LIVE: Coup under way in Zimbabwe? The Independent newspaper in UK reports that Zimbabwe’s local media reported earlier on that heavily armed military personnel had sealed off state TV broadcaster ZBC. Earlier on Tuesday, Zimbabwe’s Zanu-PF youths said they were “prepared to die” in defence of President Mugabe’s government. 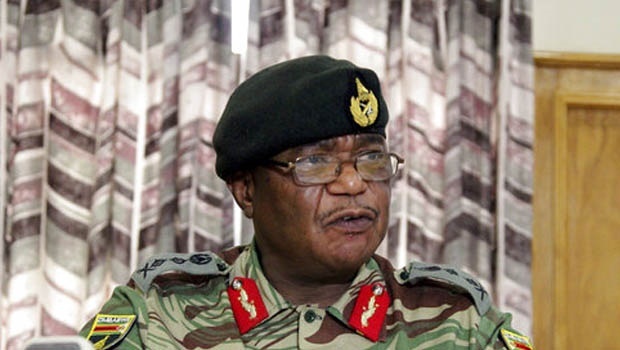 In a statement on Tuesday, Zanu-PF’s secretary of the youth league Kudzai Chipanga said that Zanu-PF youths did not take lightly the military’s threats. “We as Zanu-PF youth league are a lion which has awakened and found its voice, therefore we will not sit idly and fold our hands whilst cheap potshots and threats are made against Mugabe,” Chipanga said. Reuters reports that four tanks were seen heading toward the Zimbabwe capital Harare on Tuesday, witnesses said, a day after the head of the armed forces said he was prepared to “step in” to end a purge of supporters of ousted vice-president Emmerson Mnangagwa. The report says that two other tanks were seen parked beside the main road from Harare to Chinhoyi, about 20km from the city. One of the tanks, which was pointed in the direction of the capital, had come off its tracks. Soldiers, however, refused to talk to journalists, the report says. Chiwenga on Monday demanded a “stop” to the purges in the ruling Zanu-PF party following the sacking of vice president Emmerson Mnangagwa. Chiwenga criticised the instability in the revolutionary party.He accused the party of expelling senior officials who participated in the 1970s war against white-minority ruled Rhodesia; saying “counter revolutionaries” were plotting to destroy the party.